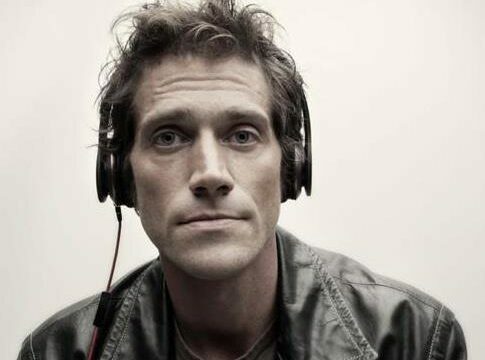 Ben Taylor listens and thinks. A lot. In fact, the word Word is something Ben mulls over daily. It is, when you think about it, the only word that IS what it means. The meaning of word connects us – in any language – and this idea of communication is very important to Ben, as is the paradox of an individuated consciousness (think: ego) versus collective unconscious, that which unifies us all (happiness, fear, hate, love). Heavy? Not really, just a part of the ever evolving, highly intelligent, vulnerable, loving brain of Ben Taylor, musician, son, brother, friend and deep believer. Not only has Taylor spent the past few years thinking, he has also spent a lot of time LISTENING. Listening is Ben Taylor’s first album in four years, the last being the critically acclaimed The Legend of Kung Folk Part 1, which had CNN commenting that the album, “reflects the broad palette of pop” and Blurt Magazine declaring, “For some time now Ben’s been busy carving out a unique niche for himself in the music world.” Ben himself once described his work as “organically handcrafted songs,” and given the painstaking thought and care he puts in to his art, who are we to argue? As a successful and eclectic independent artist for the past ten years, it isn’t just anyone who takes four years to put out their next album (Listening being his fourth album). The songs on Listening certainly support Ben’s clear progression as a songwriter. The track, “Worlds are Made of Paper,” which references The Beatles “Yesterday” as Ben’s favorite Beatle’s song, is a philosophical ode on the transience of life (“Yesterday” – get it?). With a strong bass beat that dissolves in to a campfire chorus, Ben and the band happily sing with an indifference to this temporary thing we call life. The album’s first single, “Oh Brother” embodies the best of songwriting in personal form with a life lesson hidden in an melodic yarn for Ben’s younger twin brothers, who like most 11 year olds, are already struggling with outside judgments and fitting in. “Even a champion loses the day before the race,” Ben cautions the boys, letting them know it’s ok to fail, and, as only an older brother can, reminding them to shine on, no matter what. The beautifully haunting acoustic title track, “Listening,”is a song Ben has been performing live for a few years. Written after he realized that he was a better talker than listener, the song stood as a constant reminder to listen more. The social commentary of “America” challenges both America and Ben himself, to start living a more impeccable life. Not one to preach, this is Taylor extending a hand to anyone who wants to take the challenge of doing better each day. The album closer, “Next Time Around” isn’t like anything else on Listening, a folk-bluegrass-country hybrid, which could easily be heard as part of Garrison Kiellor’s “Prairie Home Companion.” A beautiful piece of abstract story-telling, Ben encourages the listener to find their own meaning in his words. Ben’s also excited to be on a label for the first time in his career. “For most of my career, I put out my own stuff on my own time. I start really well but then slow down. Now that I have a proper label, I love sharing the reins of my creative process. If you’re too close, you often don’t have good insight and don’t know when to stop. I love what I do and one of the best things about being a musician is getting to hang out with musicians all day! They’re mostly a joy to be around,” Ben says with a laugh.